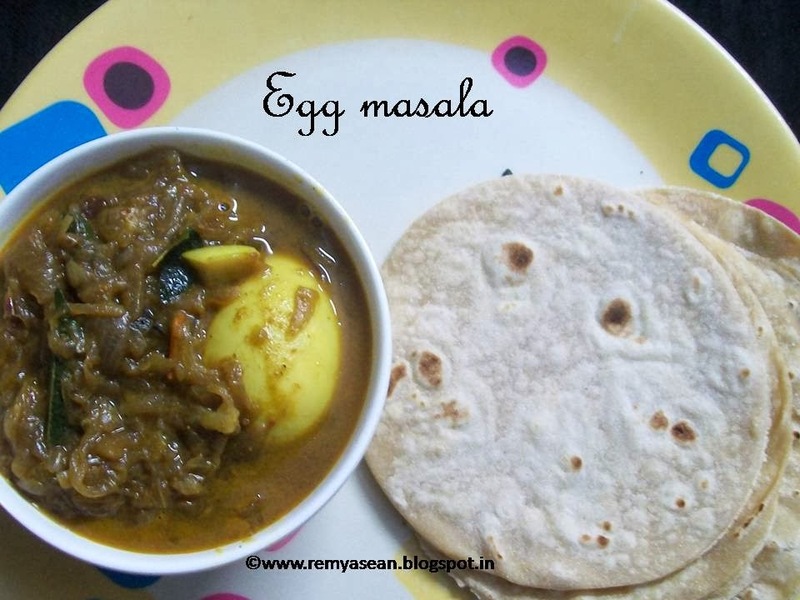 One of the best combinations for chapathi.Even for Puttu I prefer egg masala.My 2 years old Kannan will finish a small chapathi with egg masala or with Egg roast.So atleast 2 times in a week I have to prepare these dishes. 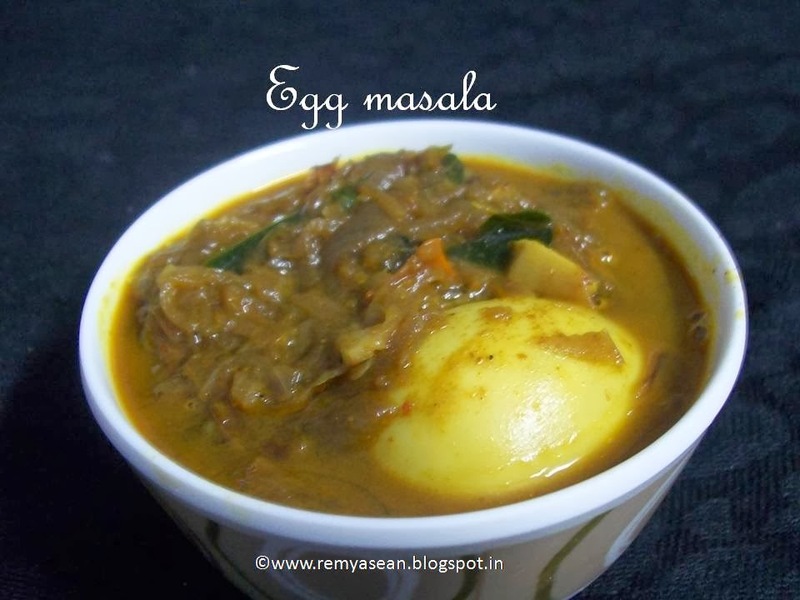 Boil th egg and deshell ,and keep aside. Heat the oil in a pan and add the ingredients listed under "to temper".Stir it for few seconds. Add sliced onion,salt and curry leaves. Saute it well till it turn golden brown in colour. Add green chillies and tomato.Saute it well till get mixed with onion. Add 1 cup of water.Mix it well. (if you need you can add more water).Let it boil. 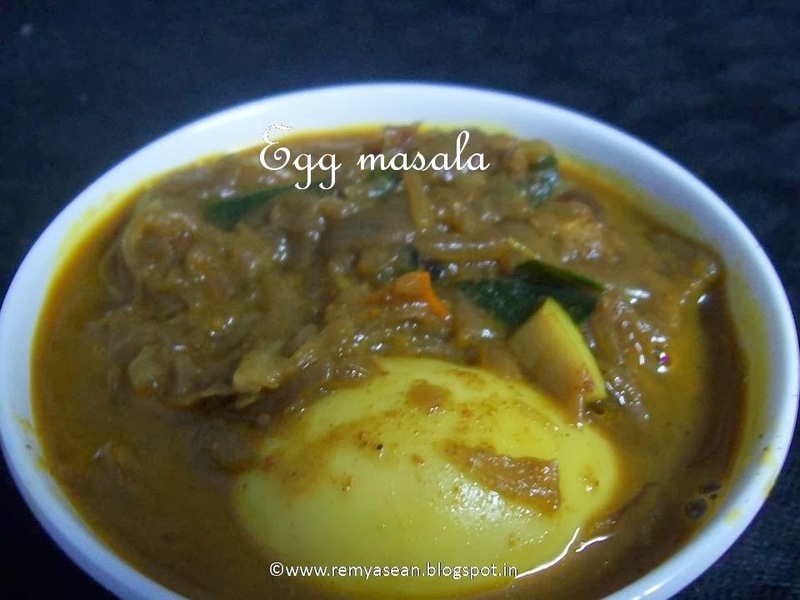 I need rice for this delicious egg masala. Lovable spiced up flavors. I'm following on blogger and appreciate it very much if you can do the same. Thanks so much. Looks too good dear :) yumm ! !